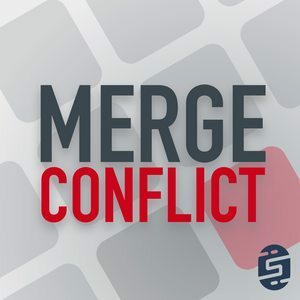 We found 10 episodes of Merge Conflict with the tag “xamarin”. It is time for a new iPhone, a new version of Xcode, and a new version of iOS that we get to explore as developers. This week we take a look at our new favorite app and API: Shortcuts! Yes! It is time for new iPhone and Apple Watch devices! We quickly break down the entire Apple Event from last week and then go directly into smart home automation and Android Things. It is time to clean up that code! We aren't talking "Clean Code", instead we are talking about tools that help you and contributors keep standard conventions, naming, and styles across any IDE! On this week's pod we take a look at the current state of web and app security for developers. We discuss options when dealing with TLS/SSL, database encryption, and how to store items securely in mobile apps. We get nerdy again diving deep into the world of struct equality and performance. Sit back and get ready for some operator overloading, IEquatable, performance implications, getting of hash code, amazing C# 7 features, and how ValueTuples save everything! We are back with lightning talks with topics submitted by our amazing listeners. We take a look into performance, cross-platform UWP XAML with Uno, deep dive into the world of Xamarin.Forms, and give our thoughts on the future of app development. This week we have a quick followup on System.IO.Pipelines that leads into a deep discussion of what we want in .NET Standard vNext. We then investigate the motivation, optimizations, and reality of porting a Win32 Application to run inside of a UWP container for the Microsoft Store.